The conference features 2 days of sessions, including educational programming and continuing education hours — plus time for connecting with healthcare colleagues and strategic partners on the information, processes, tools and services that will help build the capacity of your agency. Click on a linked item in the schedule below to view the session description and presenter information. **requires separate ticket; available for purchase during registration. The purpose of healthcare is to alleviate suffering and increase well being. And yet, vast numbers of clinicians, administrators and medical staff are feeling over stressed, overwhelmed, over tired and burned out. Sick, distressed employees are prone to poor diet, lack of exercise, low energy and depression. 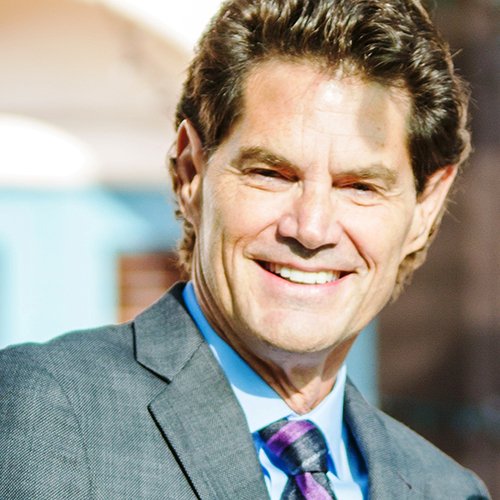 Jerry Bridge is a motivational speaker, educator and author for the healthcare industry. He is best known for turning complex, topics into fun, engaging thought provoking programs and for his ability to help people reduce stress, improve productivity and build teamwork. Jerry's book, “Who Cares? The Give and Take of Family Caregiving” is widely recognized by healthcare professionals as an inspiring, uplifting memoir for anyone with a family caregiving challenge or story. A baby boomer from Baltimore, Jerry’s never lost his fondness for his hometown teams, blue crabs and Maryland hospitality. Jerry has travelled the world running marathons, raising money and resources for ending hunger. He is a drummer, knows his way around a kitchen, and has performed standup at the world famous Comedy Store. Above all else, Jerry’s passion is to lead inspiring, motivating programs that empower people while having lots of fun in the process. This session will review the latest changes and what is coming down the road in terms of the major initiatives in home health including Targeted Probe & Educate (TPE), the Home Health Groupings Model (HHGM), Value Based Purchasing (VBP), OASIS-D and the Quality of Patient Care Star Rating. This session will review the effect that these programs have on each other, what's coming next and what agencies can be focusing on to ensure they will thrive in the new environment of home health. Melinda Gaboury, COS-C is co-founder and Chief Executive Officer of Healthcare Provider Solutions, Inc. (HPS). Melinda Gaboury and Mark Cannon founded the company in April 2001 to provide financial, reimbursement, clinical and cost reporting services to the home care, hospice and rehabilitation therapy industries. Gaboury’s priority remains bridging the gap between clinical and financial issues in home health agencies. The one unique thing that Gaboury brings to the home health field is the development of very effective OASIS and ICD-9 Coding Education while being able to also teach the reimbursement aspect and how they are directly related. Join us for an annual update from the Arizona Department of Health Services Office of Medical Facilities covering hot topics in licensure, state regulations and Medicare. This session will provide attendees with an update on changes in state and federal regulations impacting licensed agencies, including the new Conditions of Participation, areas of focus for the department plus time for Q&A. This is an unique opportunity to get answers to those burning questions! Attendees will be provided with an opportunity to submit questions ahead of time for consideration. Kathy McCanna, R.N., B.S.N., CPHQ, NCIT is currently the Branch Chief for Health Care Institutions with the Arizona Department of Health Services, Division of Public Health Licensing. In that role she provides leadership for the statewide health care institution licensing and Medicare certification of over 7,000 health care institutions classified under Medical Facilities, Long Term Care Facilities and Residential Living Facilities. Kathy is a licensed RN with a Bachelor of Science in Nursing. She is a Certified Professional in Healthcare Quality (CPHQ) and completed CLEAR Investigator-Inspector training. Kathy has clinical, management and administrative experience with progressive responsibility in small and large health care facilities and regulatory agencies.She has extensive experience in leading regulatory compliance activities including state health care institution licensing, Medicare certification activities and facilitating accreditation compliance. Kathy has a strong background in quality including quality planning, quality assurance, and continuous quality improvement . She also has a strong background in customer satisfaction, risk management, infection control, case management and medical staff credentialing. With significant efforts being made in quality measures, the healthcare industry is beginning to move the needle but there is still room for improvement, especially with certain disease processes and patient populations. As nursing homes experience penalties similar to the hospitals, it is more important than ever that home health, hospice and palliative care be positioned to focus on those patients and processes that need the most assistance. Join us for an interactive and illuminating session on the story the data and experience is telling us and how post-acute and transitional care providers can best be able to leverage the data and execute immediately on process improvements to significantly reduce avoidable readmissions, adverse events as well as improve the patient experience. Jenna Burke, BS, CHES has a broad background in healthcare experience with expertise in community outreach, public health programs, and quality improvement. She graduated from the University of Arizona in 2012 with a bachelor’s degree in Public Health and is a certified T-Trainer in Stanford University’s Chronic Disease Self-Management programs. Ms. Burke is a Certified Health Education Specialist (CHES) since 2012 and currently she is the Quality Improvement Specialist for Care Coordination at Health Services Advisory group (HSAG). She works with Healthcare organizations in Arizona and California communicating and consulting to assist with interventions related to goals, objectives, and measures, and to provide technical assistance and recommendations as needed. Keith Chartier, MPH is associate director with Health Services Advisory Group, Arizona’s Medicare Quality Improvement Organization. In his five years at HSAG, he has helped lead numerous projects including the Arizona Nursing Home Quality Care Collaborative, which includes 89 percent of the state’s nursing homes working to improve resident care using Quality Improvement and Performance Improvement. He also leads a statewide initiative to implement antibiotic stewardship in the outpatient setting, as we all as an initiative to improve immunization rates in home-health agencies. Keith is also an adjunct lecturer at the University of Arizona Mel and Enid Zuckerman College of Public Health, and he is currently pursuing a doctorate in public health at the University of South Florida. The Administration’s budget for 2019 includes over $400 billion in Medicare cuts and $1.5 trillion in Medicaid spending reductions. While the mantra in Washington is “reduce regulatory burdens,” we have yet to see that outcome. Instead, new regulations, new payment models, and increased oversight are all in play along with innovations in health care delivery, coverage, and payment. This program brings an up-to-the-minute report on what Washington has in store for home care and hospice. Identify key regulatory developments that require action by home care and hospice providers. Bill Dombi specializes in legal, legislative, and regulatory advocacy on behalf of patients and providers of home health and hospice care. With nearly 40 years of experience in health care law and policy, Bill Dombi has been involved in virtually all legislative and regulatory efforts affecting home care and hospice since 1975, including the expansion of the Medicare home health benefit in 1980, the formation of the hospice benefit in 1983, the institution on Medicare PPS for home health in 2000, and the national health care reform legislation in 2010. With litigation, Dombi was lead counsel in the landmark lawsuit that reformed the Medicare home health services benefit, challenges to HMO home care cutbacks for high-tech home care patients, lawsuits against Medicaid programs for inadequate payment rates, along with current lawsuits challenging the Medicare home health face-to-face encounter rule and the Department of labor changes to the overtime rules under the Fair labor Standards Act. 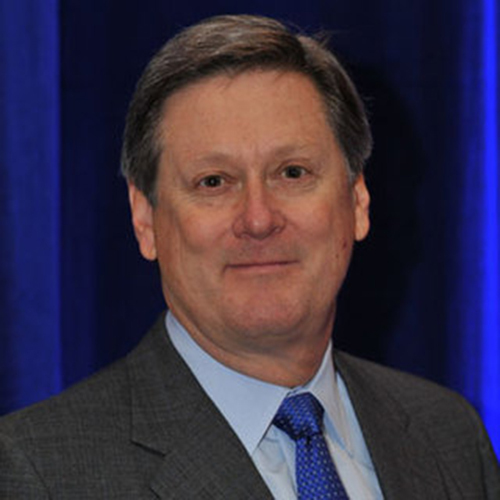 In 2018, Bill was named President of the National Association for Home Care and Hospice. The following sessions are part of the Home Health track at the conference. All agencies and care providers know the challenge of connecting with the client - This session will review evidence-based studies and provide concrete examples beginning with admission to connect with the client, develop personalized goals and to increase client participation in the care. Efficient cost-effective patient management techniques support all home care providers. Starting with a strong personalized care plan and goals results in increased client outcomes and strong satisfaction survey results. Attendees will be able to recognize examples of effective methods for nursing, therapist and non medical supervisors to initiate personalized care. Attendees will be able to develop measurable and achievable goals based on patient directed goals. Attendees will be able to verbalize methods of client engagement throughout the home care experience. Donna Floyd has been a Registered Nurse for over thirty years and has extensive health care experience in management of national, regional and start-up organizations, including home health agencies. She is accomplished in the areas of program and policy development, staff education and competency development. 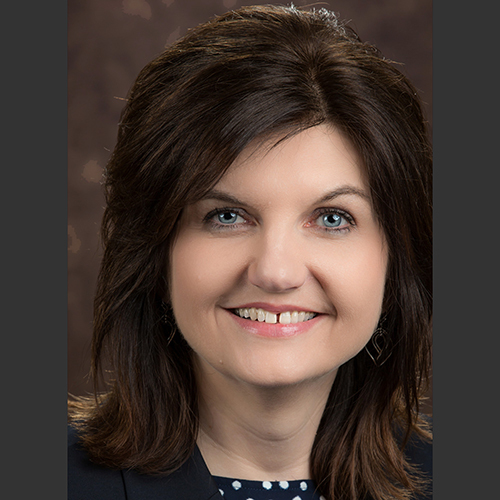 Donna’s broad span of experience ranges from successfully holding positions as Agency Administrator, Clinical Nurse Manager, and corporate VP of Program Development to leading organizations in successfully achieving growth and national accreditation. She has provided leadership in the Home Care Association of Colorado as a liaison to the Department of Public Health survey department and served` as a member of the Education Committee. Donna has extensive experience with home health agencies and licensure rules in multiple states as well as having contacts in a variety of state departments of health. Decision-making authority impacts every aspect of providing healthcare from admission, transfer and discharge yet the myriad of terms and processes can be confusing, stressful and cause delays in care. Join us for a special session with professional fiduciary, Becky Brimhall where she will discuss guardianship, convervatorship, POAs, Advance Directives and more. Take away a better understanding of the role of fiduciaries and the various legal terms, their utility and impact in the provision of community-based care services. 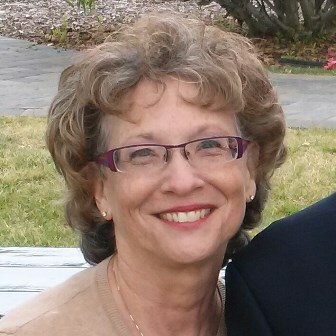 Becky Brimhall, MHA received her BS and Master's degrees in Health Care Administration and has over 35 years of experience in the health care industry. She currently sits on the Governor's Council of Aging and various other health care boards. Becky maintains her nursing home/assisted living license and real estate sales person license (inactive) and is a member of the Arizona Fiduciary Association. Currently she is a Partner and Care Manager with Camelback Fiduciary and leads the care management division and oversees all care related services.